It's lines like the one above that get me excited about writing and reading haunted stories. 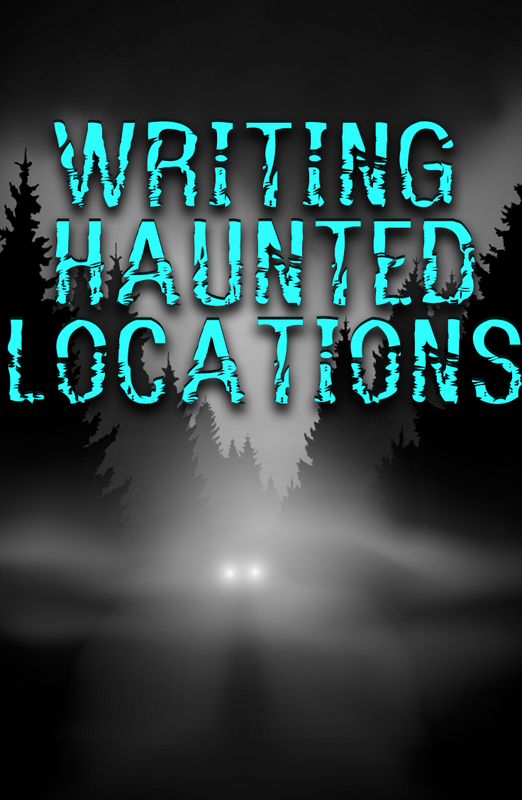 You can't just describe a location, you have to do it in a way that creates fear and dread in yourself and the reader. 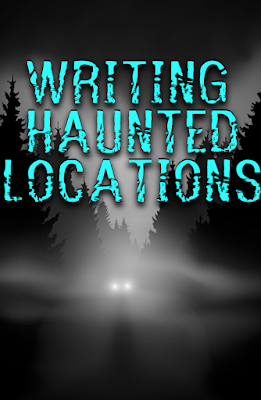 Location is one of the most important aspects of a haunted story, outside of atmosphere. You need a place to haunt. Ghost can attach themselves to a person but they often use the location to show themselves, to terrorize their victims. A haunted house is so common it's almost cliche. It's still possible to do a haunted house story well, you just have to inhale books and movies to know what works and what doesn't. Usually, the building has some dark past that stained the foundation. 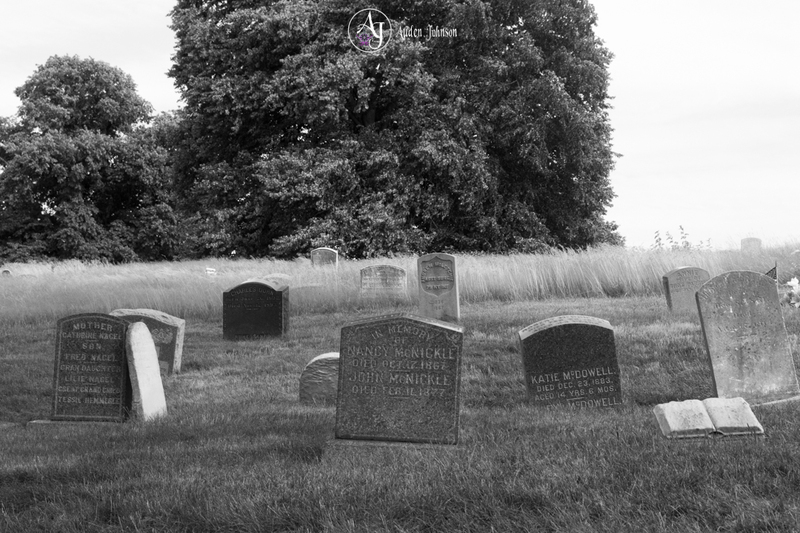 In the case of Poltergeist, the house may sit on ancient burial grounds. Or, a person could bring in a haunted object. In some cases, the house isn't haunted, a person is. I think haunted house stories are more common because you can do so much with them. I generally put a twist on the person being haunted. My characters are never ordinary humans so haunting them is a bit different. Right up there with the haunted house is the asylum. I think this location lends itself more to creepy stories because old asylums have some seriously dark pasts. People were often sent there not to get help but to hide them from society. Patients were abused and neglected by staff and sometimes tortured in the name of scientific advances. 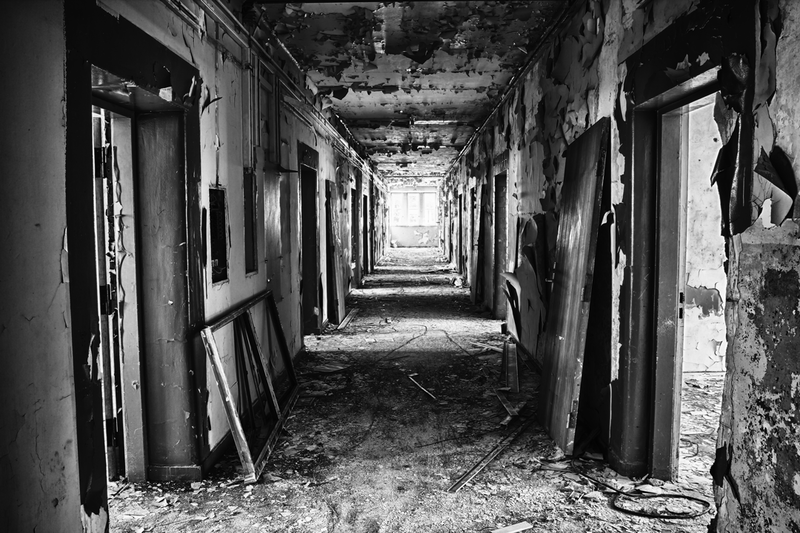 I'm agnostic when it comes to ghosts but if any place has dark energy, it would be an abandoned asylum. I think these locations are scarier than old houses. These stories are pretty straightforward. The building's usually haunted by angry patients or a doctor determined to finish their experiment. Prisons are similar to asylums, often haunted by abused inmates. Sometimes, they're haunted by inmates who want to continue their criminal deeds after death or a corrupt warden. Sometimes, forests are haunted by some witch or demon that terrorizes anyone who enters. 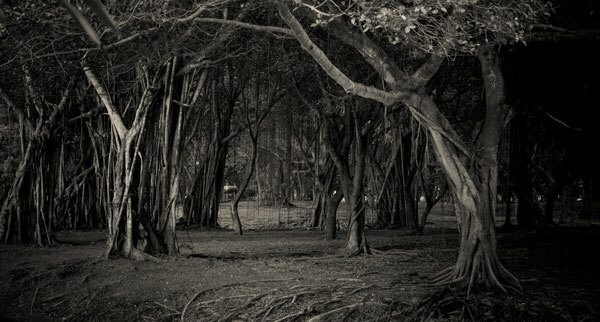 From my research, it seems forests are more paranormal hotspots. I find that more interesting. Something's wrong with the area but no one can figure out why. It's haunted by some unknown paranormal forced and by people who lost their way and died. One book I read, turned a forest into a paranormal amusement park where everything went terribly wrong- all the monsters got loose. You could go big and make an entire island or town haunted. Outside of the haunted house, I find these the most fun to write. There's no escape. There's, often, no solving this mystery. The taint is spread too far to do much of anything except steer clear of the area. The Island of the Dolls is probably one of my favorite haunted locations. This location seems pretty obvious but it's not as common as a haunted house. It's difficult to get trapped in a graveyard the way you can get stuck in a house. They could be good locations for shorter stories. It's pretty easy to get lost in large cemeteries. Actually, a particularly evil cemetery could pull a Rose Red and change every time you leave one area so you're lost forever. Now I want to find some haunted cemetery stories. I don't come across them that often. An endless maze of tunnels, darkness, tight places, silence...Nope. I'd tour a potentially haunted house or an asylum. Id' have to do some serious thinking about large catacombs. I freaked myself out touring the small catacombs in Green-wood cemetery. I don't do tight spaces, especially when those tight spaces are filled with skulls. 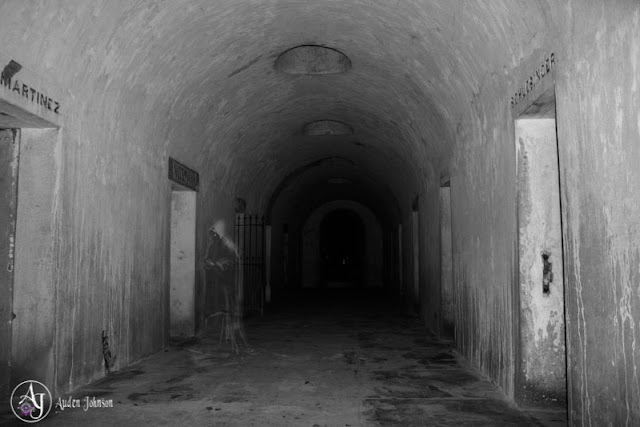 The Catacombs of Paris are particularly popular locations for horror movies. Like graveyards, their often haunted by the dead buried within. There's also the claustrophobic feeling to make the location particularly terrifying. Pretty much any location old enough to have some history. Would you spend the night in a potentially haunted location?